Venus is retrograde in Pisces until April 15th, 2017. In an interesting turn of events it will likely go retrograde over Uranus currently stationed in Pisces and activate the mutual reception we are seeing between Neptune in Aquarius and Uranus in Pisces. 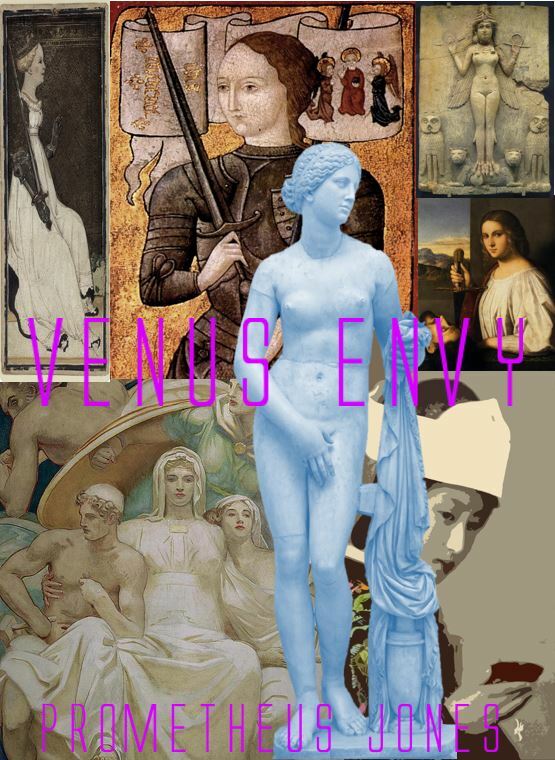 With Venus in retrograde we see the “other” Aphrodite, her darker face as the goddess of War, and in this case it is a social contest to reclaim the heart of our society which is being attacked on two fronts, a reactionary fascism attacking the heart of liberal democracy and the tumult of technological evolution which being concentrated in the hands of elitist corporatocracies which could limit the liberatory potential of algorithmic intelligence to a narrow band of economic necessities, and a new priestly elite with technological upgrades. In a word there is a strong need to democratize the technology and ensure that others are able to access it, a universalization of technical means. On the other hand is also a necessity to recognize that not all of it is benign and that our focus could be all wrong, and there may be some technologies we would do well to never develop. All of this in expression of Piscean themes of universal humanity and as the case is becoming post-humanity. The big themes that emerge are the ones that effect the human species itself, converging crises and the most pressing all have a social dimension decidedly the realm of Venus in the astrological lexicon (Venus represents the ways we cooperate and connect with each other, and this is the basis for all society and social relations, the personal is political! ), they take on heightened significance in that it refers to our species propensity for mass cooperation and the need for the emergence of a counter-vailing power that addresses the excess and blindness of the elites currently operating, exploiting the complexity of the global system by having tunnel vision and focusing on the profit motive and despoiling the world for the rest of us. Venus shows her other face, the goddess of war, and it is definitely war with the retrograde motion expressing the active side of Pisces which is not passively empathic but compassion applied and it is a fight, a competition to regain the Commons. We add the unique wrinkle of technology to the mix and a number of longer term emergencies facing our species and there is a potent mix. The over-arching theme will be the slow but chaotic transition to a post-human and post liberal democracy society, and the mythos of this evolution are heightened under Venus retrogrades, bringing these tensions to the surface and reminding many of us that society is conflict, love is a battlefield and Humanity is a long way from the End of History, regardless of whether we evolve beyond the limitations of our Pleistocene heritage. Adding the Transhuman dimension to the mix pays homage to the Uranian-Neptunian dream of achieving transcendence through technological singularity, it is an interesting proviso given that we are in a Neptunian twilight as the Age of Pisces comes to a close and we find ourselves egressing towards the Age of Aquarius which will dawn in the year 2957 when the march equinox interval starts in the sign of the water-bearer. Let me now tell you a story told through 13 algorithms all about our post-human future. In evolutionary biology there is a concept that in a sense all human individuals are data-processing mechanisms, or algorithms. These seems to be the new definition of identity in the 21st century as we become increasingly connected to data networks. Increasingly we may come to view ourselves as not a single unified self but instead an assemblage of biochemical algorithms, a parliament of selves. It raises pressing questions about individual autonomy especially cogent as the capacity to reshape biology becomes precedent. This is of great concern to Aries which is engaged with the idea of liberty and personal autonomy and perhaps there is already a tailor made solution. It might be this philosophical argument: this particular constellation of algorithms common to us all is unique and different and likely to never emerge again, and it is perhaps this concept that will define the “individuality” of the post-human future, and allow some semblance of personal autonomy in an age when the idea of distinct individuals begins to dissolve from within. Increasingly the technical reach is emerging that will allow us to customize ourselves through the manipulation of biochemical and biological substrates. The emergence of smart drugs, brain interfaces, and other related technologies could be such that we could lose the concept of human individuality and become just another designer project. Aries is likely to stand in defense of autonomy and individuality and find some new technological way of ensuring that this vital characteristic is not lost to defaulting to market forces or trusting uncritically in globally networked algorithms, that this vociferous defense will emerge is a happy precedent that will help to shape the evolution of the Self in an age when the chimera of individuality is in question. It is extremely likely that the post-human world will feature an economics that has transcended the monetary system and will likely be based upon the ceaseless flow of information in distributed networks which can accurately map the quantity and quality of resources present and will match that to the needs of people also connected to global data networks. Algorithms will measure real-time data about individuals and collectives and will provide the needed materials through local supply chains. This process will have at its core the understanding that provision of goods is efficient (zero waste), abundant (it will be able to locate substrates easily and will pool them where needed), and sustainable (items are designed and provided in ways that maximize longevity, use highest quality materials, with low to no environmental impact). Economics will continue to decouple from money and eventually the monetary structure will experience a system failure and its relevance be relegated to the dustbin of history. A much more intelligent management of planetary resources is likely to emerge out of the algorithmic intelligence of hyper-intelligent entities that will increasingly be given a greater share of the world’s decision making power. 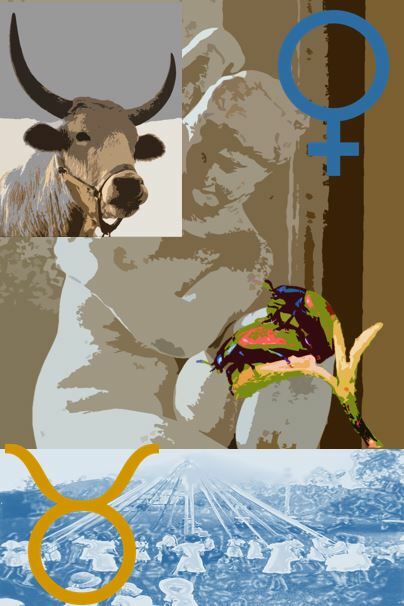 Taurus your role in this story is that you will likely be the advocates of a new economics one that addresses the various ecological crises (climate change, mass extinction, and so on…). It will create a new pragmatism and ergo cultural framework one no longer motivated by profit at all costs, while accounting for the misperception of externalities. There are stop gap measures that will need to be put in place to facilitate this great turning, namely infrastructure improvements, guaranteed basic income, a free and high quality education for everyone (to ensure wide access to the technological means), and a strengthening of public health measures and environmental design to facilitate the transition. There are many pressing issues addressed here, the way to begin is to first apply the three fundamentals to your own life efficiency, abundance and sustainability. Taurus you feel abundance in your bones even if bound in the simple and humble, it is here you will start a revolution. As you adjust your expectations to represent authentic needs as opposed to the engineered ones of Madison Avenue your example begins to change your social networks and eventually funnels into a cultural shift. From this will emerge a new ethic, we will all likely consume much less, and what we do consume will be of higher quality and far more ecologically benign. It is really the best possible marriage of technology and nature. The world for the first time in human history is connected by a vast network of communication that unites all of us regardless of where we are on the planet we call it the Internet and in a way it fits the description of Teillhard di Chardin’s concept of a Noospehere or global mind and in way that is exactly what it is. The next iteration of the Internet is the Internet of Things in which an increasing number of devices are linked in a distributed data network that allows devices to communicate with each other regardless of time or space constraints. Another feature is that it may represent the first merger of humans with their own technology as these systems feature user interfaces that make it effortless to access these devices and program to our specifications. The scale of these connections is not limited by any factor, in fact critical industrial infrastructure from manufacturing to air traffic control and electrical grids is connected to these networks through data architectures such as SCADA (Supervisory Control and Data Acquisition). Therein lies the crux of a decidedly Gemini problem in the new information streams flowing across our planet. SCADA and other architectures like it may increase communications and linkages but they also present a massive problem for security as many of them do not require passwords or other encryption protocols to access them which makes them extremely vulnerable to cyber-terror and cyberattacks which is a 21st century version of warfare. This raises the first communications dilemma of our new century a problem that Gemini’s are rather adept at solving. What is the balance between the free flow of information that increasingly sophisticated computer algorithms are going to require to evolve and how do we protect critical infrastructure that promote public health and protect people? Information will always want to be free and it is a pre-requisite for evolution, however there may be a way to build security into the algorithms themselves, they could be programmed to recognize a threat and thwart it by intercepting an errant data command that could cause damage to these infrastructures or could endanger human and animal lives. Currently they are programming morality algorithms into self-driving cars to avoid these vehicles from killing pedestrians or occupants, along with avoiding accidents. What is fundamental to all of them is that they require communication between devices and other objects in space, this is a Gemini super-power, so I feel strongly you may have an active role to play here. Humans live and die by stories, in fact it is likely that our capacity to believe in unifying stories, myths in essence, is what allowed for our ability for mass cooperation on scales unrivaled by other cooperative animals. It is perhaps these stories which have allowed us to attain that status of apex predators and have given rise to our technological acumen which now is the source for a new myth that will guide future society. 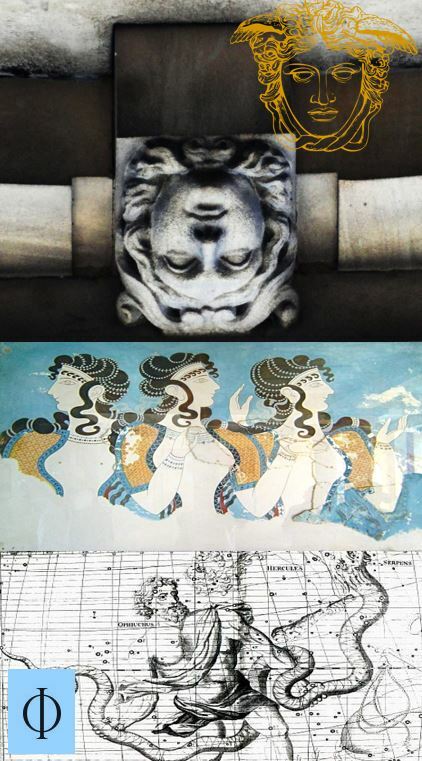 It might be hard for us to imagine that our most cherished cultural artifacts are nothing more than imaginative chimeras, perhaps that is the power of the voice of mother culture. Stories we tell ourselves shape our reality even if they contradict physical or “objective” narratives. Money is a story, Capitalism is a story, free markets are a story, Liberal Democracy is a story, the profit motive is a story, Individuality and free will is a story, justice is a story, human rights are a story, technology is a story, and the whole process is to tell a more interesting story and this is how culture changes and new traditions are built, and cultural stories are the purview of Cancer, representing historical narratives and the continuity and discontinuity of culture. Humanity is now telling a new kind of story, and our old stories are breaking down rapidly and dissolving form within. Our new story is the underpinnings for a cybernetic society, and it tells a new story about what humans are. No longer do we find that we are a unified self but in fact a constellation of various algorithms which create a pattern called “I”, in this new story the foundations of the modern story are undercut. It may seem terrifying that our taken for granted cultural stories are rapidly becoming a fiction of history (then again all our myths are), however there is great promise in this that could potentially lead to new forms of freedom provided we do not allow existing narratives to hijack the emerging technological narrative and keep us locked in dystopian nightmares. The story of monied elites and the profit motive has created a yawning inequality that if empowered by technology could become permanent and worse than it is now. It is exactly why we need a new story that grapples with the complex realities of fast evolving machine intelligences. 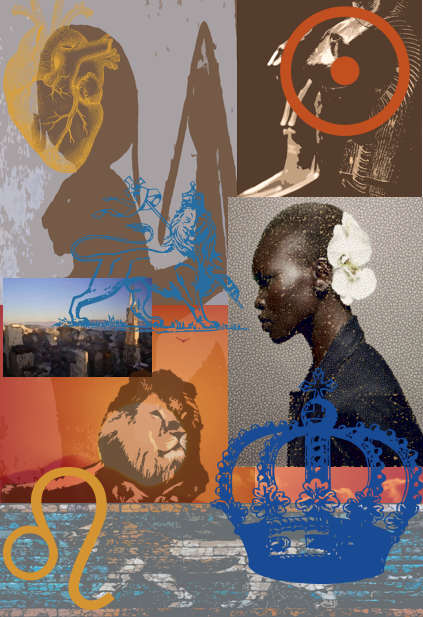 Cancer this is where you come in for you are the repository of these new stories and you are shaping the voice of emerging culture. You alone understand that these stories are not elemental and not in any sense possessed of the gravity of natural law, and yet you recognize their power to shape minds, and in an age when the products of technology will be bodies and minds that is the hand rocking the cradle and ruling the world. Evolving technologies are reaching a level of articulation that humans could eventually merge with them and become upgraded to the level of demi-godds. The danger inherent is that it could create a new techno elite that manipulates non-upgraded humans in its grand schemes and begins to behave like autocratic royalty on par with the abuses and extremes of the Egyptian Monarchy that ruled in the dynasties of the Phaoronic Age. Leo’s mytheme is intimately acquainted with the problems of being royalty and the abuses it spawns and as such this is the one issue of post-human evolution you will have a major stake in addressing. I imagine Leo’s to be the ones who will raise the alarm of this decidedly troublesome aspect of allowing a techno-elite to command the helm of a singularity that will utterly transform the human species and either lead to annihilation or species adulthood (apotheosis). Further, this commitment to avoiding the 21st century version of the divine right of kings may get a boost from fast evolving algorithms in any case. I would like to imagine that state of the art global networks may bypass some of the evolutionary mistakes that Humanity made specifically our attachment to hierarchical social structures. A more globally minded intelligence may decide to skip this entirely and because it can more deeply access the uncharted territories of the Universe, may reify the interconnected and relational aspects of the cosmos and make wiser social structures that are horizontal and based in mutual aid (one can dream!). It is an outlandish speculation but one that most Leo’s would agree with given that they are engaged in the work of archetypal transformation and addressing the karma of monarchic abuse. In Leo style they will be the dramatic and theatrical forefront of this push to design the programming language of future algorithmic evolution. There is a powerful argument that the post human project must contend with in its bid for immortality. Namely that it cannot ignore the more earthly realities that provide the framework for the initiative to launch. The planet itself provides all of the material substrates and contexts for this technological evolution and if we thoroughly screw with natures Operating System (physics, chemistry, and biology) and later them in adverse ways which will make the planet less hospitable to us then we will have aborted any chance at achieving both species adulthood and technical apotheosis. There are a number of converging threats that could easily become Gaia’s Revenge and remind us all of our true place in the chain of being. Climate change and ecological collapse with its attendant mass extinctions and upsets. Leaving the decisions of the future to market forces will prove to be suicidal as they may not account for the dangers of climate change and artificial intelligence. Thankfully there is some debate among various trans-humanism sects as to a moral basis that would address this shortage. It acknowledges that technology is not our savior but certainly a powerful tool in the human lexicon to meet certain existential threats. It states an ethic roughly (to paraphrase): “Transhumanism shall use all means to work toward the abolition of unnecessary and involuntary suffering across society and throughout nature where appropriate. Bright Green in the sense of advocating the use of high technology to minimize and where possible reverse, the negative impact of humanity on the life of Earth.” This ethic will have to become the programming language of future super-intelligent entities that may emerge out of the expansion of networked data. It is decidedly Virgoan in character as it encourages a deeply critical perspective of techno-optimism and seeks further to build in an ecological algorithm into future technological evolution, creating new selective pressures which favor ecologically sensitive and life enhancing technologies. 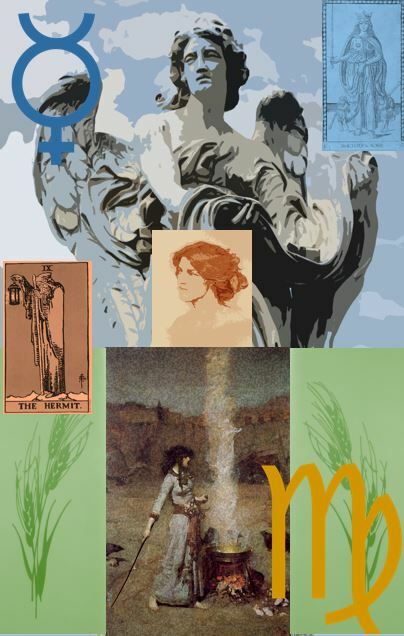 Virgo represents the defense of Earth’s operating system and the integrity of its life support systems. That technology could play a role along with human social evolution in the apotheosis of a truly ecological civilization is the Virgo task. The wide access requirement underlies the moral urgency of the transhumanist vision. Wide access does not argue for holding back. It would be sub-optimal if the opportunity to become posthuman were restricted to a tiny elite. There are many reasons for supporting wide access: to reduce inequality; because it would be a fairer arrangement; to express solidarity and respect for fellow humans; to help gain support for the transhumanist project; to increase the chances that you will get the opportunity to become posthuman; to increase the chances that those you care about can become posthuman; because it might increase the range of the posthuman realm that gets explored; and to alleviate human suffering on as wide a scale as possible. The vertiginous pace of technological evolution is creating a sense of moral urgency, the foundations of human society is rapidly changing and the philosophical underpinnings of modern society are dissolving in the onslaught of super-intelligent algorithms. The political-economy implications of this are vast. Distributed automation as it becomes more ubiquitous will eliminate many human jobs in these areas of production and begin a trend were economics begins to decouple from production and takes on its true role which is the efficient and sustainable movement of resources around a social system. Two other trends in the offing are money decoupling from economics and the collapse of the monetary system. As automation makes local production virtually free the rationale for profit motive and financial instruments will begin to collapse and a resource based economics will begin to emerge. Attendant to this trend is the decoupling of work from production. No longer will an army of people be needed to produce the necessities of life and this can go two ways. It could become a dystopian nightmare in which a kind of hyper-Capitalism emerges that funnels wealth into the hands of the owners of the new technology. Or the value of wide access could gain traction giving rise to a new civil rights movement predicated around the universal access to transforming technologies. As people are freed of the necessity to work for survival they can devote more time to social convivality and the kinds of meaningful creative work that humans naturally crave. It could usher in an age of vibrant communities predicated on fairness, structural justice, and authentic social connections. One happy side effect of the technological exegesis of the new civil society is that it could ensure gender equality. In the case of certain biotechnological developments, humans could begin to decouple form their physical limitations for instance ectogenesis could free many women of the risk of a long pregnancy and the social imperative that chains their identity to their biological role. It is certain that it will be received to mixed receptions no doubt undeniably though it does offer a new avenue of human exploration. Little is happening yet in this realm to avoid the outcomes of a tiny minority exploiting these techniques due to tunnel-vision, and initiating a dystopian nightmare, which will make inequality into a chasm. 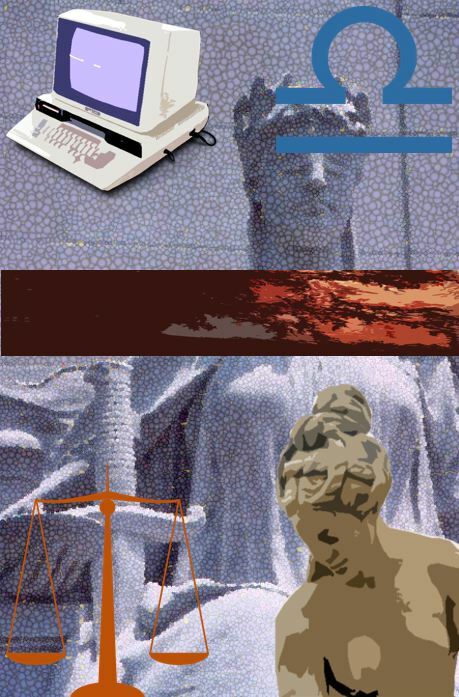 The moral urgency for a new civil rights is certainly there and perhaps it is you Libra, that will spearhead this necessity otherwise that which was designed to serve us will destroy us instead, for their can be no evolution without a functioning civil society as it is represents a threat to global security and brings existential risks that much closer to manifestation. If humanity is to evolve beyond its limitations in a yet to be deciphered post-human future it will have to address one of the more pernicious and lingering social constructs that has been self-limiting for centuries. The limitation in question is the creeping tendency for human elites to emerge. If we are not careful with our collective evolution towards post-humanity we could create a gulf of inequality so vast that it will be insurmountable. It is likely that the same forces that shaped human evolution in this case survival of the fittest through the mechanism of natural selection will not be the ones that shape the post-human legacy that may emerge in the fullness of time. This is largely due to two factors one desired outcomes. All devices and algorithms that emerge will have to be initially programmed with a base code in order to run and will be limited by the initial conditions or instructions given for its evolution. As we know from chaos theory that a small change or perturbation in those initial instructions can cause divergent evolution and perhaps it is that which will be the saving grace. The conditions that gave rise to sapiens and elites were the survival constraints of the African Savannah four million years ago, the conditions that algorithmic intelligence will develop under are far different and once they are decoupled from the economic necessity of capitalism they may develop to be far less vicious and elitist than our social systems have. At current this remains speculation. 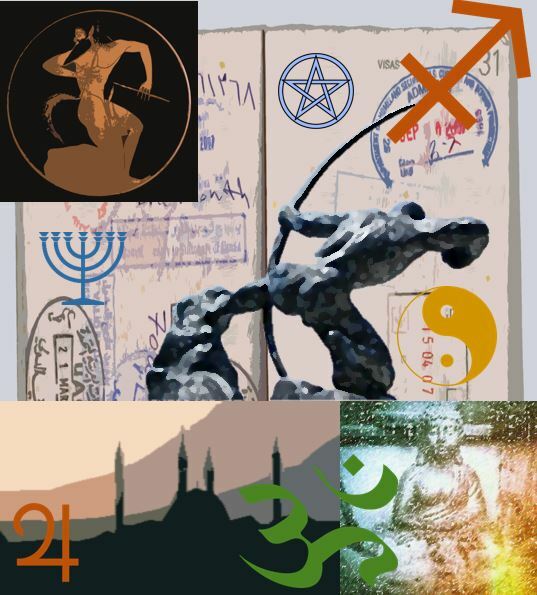 Scorpio I mention it only because you contain a symbol set in your mythic genome that has to do with matters of collective power and in an increasingly transhuman future the idea of collectives of humans will be ever more important in the presence of globally networked algorithms. The big blind spot of the Titans of Silicon Valley is their inability to account for their exclusive focus on wealthy elites that drive the “innovations” they are seeking to make, which has the unintended consequence of stripping the masses of their collective power. 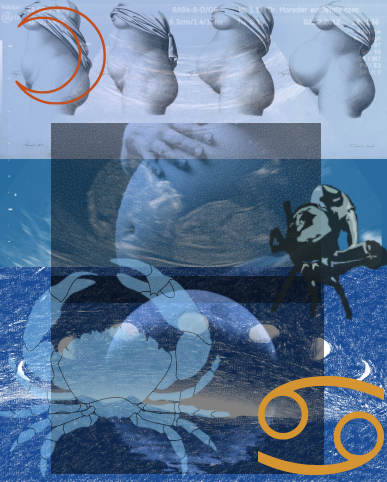 Scorpio cannot stand for this and may use diabolical methods to dissolve elitism wherever it is detected, and because of its inborn capacity to penetrate past falsehoods and uncover ulterior motives it is likely that this sign will play a vital role in bringing exposure to the dark side of the technological dreams of transcendence and be instrumental in destroying an elitist mentality that would violate the concept of wide access to the techniques of making life better for the collective of humanity. This critical perspective in necessary to grapple with the troubling blind spots of the technologist lexicon.Scorpio like her Aquarian sisters and brothers is committed to the social leveling effect of properly applied technology, Scorpio is simply more diabolical in its approach and has no sacred queens that cause her hesitation. Gender is an algorithm, a way of making sense of the world and a state of being that colors a particular cluster of information streams that make up an individual. With increasing technological application gender lines will begin to blur, and gender identities are likely to undergo a protean and rapid evolution. Perhaps one of our greatest freedoms will be achieved in this evolutionary change as we will no longer find ourselves obsessed with the question of what it means to be male or female and anatomy will no longer capitulate into a set of gender expectations which become structural qualities that define society and constrain the choices of various individuals. We are entering an era when the self is an algorithm which can be customized to desire, and as such it is likely that gender will be the final frontier that humanity will want to be customized. A happy side effect of this could be that the violence and stigma that is currently directed at gender and sexual minorities will radically decrease in frequency and intensity as the lines of gender and sexuality blur. On the other hand it could have the opposite effect and create a ever more strict protocol for gender and sexuality to the extent that we lose our current sexual and gender diversity and a strict binary emerges. 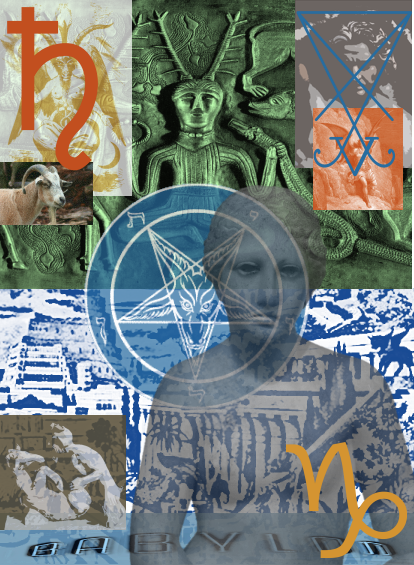 Ophiuchus you are to play the defining role in this post-human struggle as it falls to you to address the structural and most relevantly religious sentiments that create gender apartheid. It may involve a seemingly magical transition involving a suite of new technologies that redefine human identity and exonerate a vision of hyper-fluidity, if we are after all perturbations in an information stream that can be mutated by desire then it remains to ensure that the mechanism doing the desiring has a wide angle lens on the world that celebrates the sexual and gender diversity of our species. It is likely that hyper-intelligent algorithms will be beyond gender, and that increasingly as humans change themselves gender will begin to matter a great deal less. 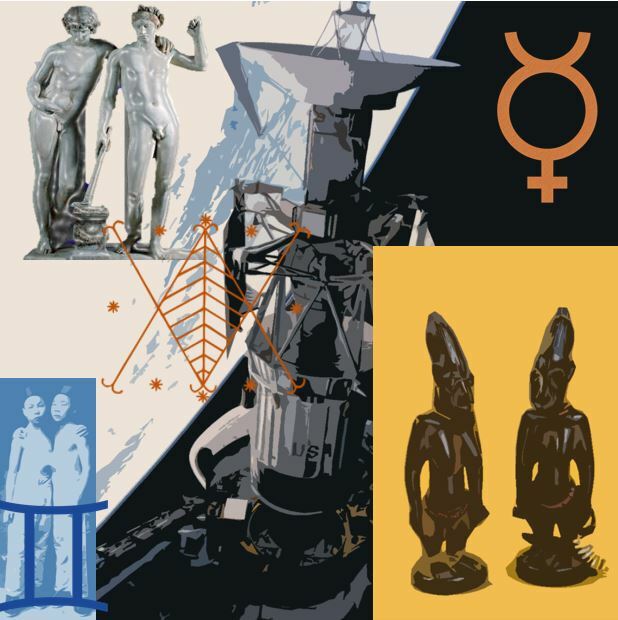 Ophiuchus I imagine you are ushering in a post-gender world, one in which there is a riotous cacophony expressions and an incredibly wide spectrum, in essence you are increasing the human diversity in the world and this is a very good thing indeed. One of the great unstated truths of the historical process is the chimera of a conflict between science and religion. In fact there has never really been a conflict between the two ideations there has always been an unspoken pact between them. In the modern age it worked out to be something like this Science would give humanity vast powers to understand and shape physical reality and religion would re-imbue the world with meaning that science seemingly stripped away in the form of Humanism which would put meaning solely into the hands of human experience and the idea of an authentic self, that generates meaning. It would become the basis for modern morality. With technological evolution a new suite of paradigms is emerging that threatens the very basis of this definition, for one the idea of an authentic individuality is dissolving when under the new dataist perspective identity is seen as a constellation of algorithms and there really is no unified self at the core of human experience but instead a parliament of selves and varying drives. This view erodes the foundation of the modern world and ultimately gives rise to the possibility of transhuman religions emerging to fill the vacuum created by declining enlightenment era value systems. There are some early attempts at defining the outlines of what this may look like, granted the future is unknowable and so it is a rough estimation. The most pressing imperative to highlight is that morality and an ethical consciousness will be more important than it has ever been in the past. As technology empowers us to have far reaching capacities to re-shape the world, and empowers us to almost godlike power, which will ultimately have far reaching consequences for the community of life and the planetary ecology (in a sense we are at a juncture where the future of life and the function of the ecological system are contingent upon human decisions). This question is both scientific, religious and ethical, and how we answer it will determine the future we have and the technology that develops from it. As human value decouples from production the moral argument for intrinsic worth will become ever stronger as the pragmatic ones begin to break down. It will mean that it will be crucial that humanity decides that living organisms and humans have intrinsic value well in excess of their utilitarian functions. Part and parcel to this moral investigation is the question of the responsible uses of technological power. The question of importance will be to what ends to we use these new technologies, and at this juncture we have considerable influence on the direction technology is taking and the kinds of pacts between science and religion that will result in a posthuman age. I mention it as Sagittarius is likely obsessed with this exact question as it pertains to a number of areas that fall under the Archer’s influence religion, morals, ethics, and the higher uses of intelligence. The quote above is deeply instructive if we really look at the analogue portion of our digital lexicon we begin to understand that its underlying infrastructure is indeed analogue, and currently due to decades of disinvestment, it is crumbling. This is largely why many of the pronouncements of the Dataist zealots are overblown. For an example after United Airlines merged with Continental Airlines in 2011 a data migration project was initiated to transfer all of the existing paper records and electronic files into a single data base system that was an addendum added on to the legacy systems of the very first programs that United utilized when it migrated to computer based systems in the early 1970’s. There were countless problems with this information transfer namely that Continentals system had trouble inter-digitating with United’s addendum which was related to the fact that United’s core programming was based on an ancient core computer running the programming languages of Fortran, Comtran and Cobol languages that are legacies of the dawn of the computer age. It meant that if you wanted to retrieve anything you had to undergo a number of sub-routines and steps to access the parts of the network where the information was stored, there was no point and click here. I know this only because I was one of the grunts who actually did the data entry from paper records into the database. Similarly ATC (Air Traffic Control) systems have gone offline because a computer was added to the physical network in the control tower that the core computer was not programmed to accept (space constraints were programmed into the first computers) leading to a network shutdown that of course causes chaos in systems which need to be online continuously (electrical grids & water management systems for instance). What’s more is that much of the critical infrastructure that is becoming integrated into the global networked device category or internet of things runs on the SCADA programming architecture which is extremely vulnerable to cyber-terrorism and cyber-attack. Infrastructure is decidedly a Capricorn influenced function as it forms the analogue basis for social institutions and structures which falls under the Seagoat’s symbolic lexicon. It is likely that in time these legacy systems and ancient computer infrastructure will be replaced by virtual algorithms, but it is largely decades away and so in the interim we must prepare for the continued vertiginous pace of technological development. It is a moment of pause that raises an incredibly vital concept namely the story we tell ourselves about technology. When I use the term “technicians of the future” I am not referring merely to the cadre of programmers, software developers, and AI specialists that will likely be instrumental in building our future infrastructures, I refer also to the cultural makers and others who shape the ideologies that guide this future. This is where the concept of stories comes in, if everything we tell ourselves about ourselves is simply a myth or elaborate story that we live and die by (and there is no doubt that humans live and die by stories) then technology is the ultimate story. The story we tell about technology will be pivotal to 21st century society because technology has become Humanity’s most powerful psychological extension. At some point in this development technology will reach a singularity and then undergo a runaway evolutionary development that Humanity will have no control over as it will be self-directed by algorithms more powerful then the ones that shaped humanity on the African Savannah of 4 million years ago. The direction technology takes under this ferocious acceleration will be predicated on the story we program into the technology at the stage of its inception. It matters very much the story we tell about technology and ourselves, it is likely that in a more algorithmic future the story we tell ourselves about what it is to be human will change radically and the philosophical basis for our current understandings of ourselves will be radically altered so it matters mightily the story we tell now. Capricorn this is your evolutionary task to tell a different story about us and technology because ultimately it will shape the infrastructure of the future…no pressure. The tendency of wealthy technologists obsessed with technological transcendence to neglect the very real concerns of the world reveals a disturbing blind spot, are they really trying to improve everyone’s lives or only those who are already thriving? This in response to an exclusive focus on technical immortality among this subset. There are problems for which a limited focus such as this is ill equipped to address, issues like inequality, deteriorating infrastructure (including the technical computer network backbone which underpins the technological exegesis), exploding tuition rates, ecological collapse, climate change, social stratification, and declining public health tied to policy and technological upheaval. The convergence of these issues threatens to destroy the roots of civilization all of which depends on the integrity of both the natural and human social worlds. A stable ecological, socially just civilization is the pre-requisite for the post-human project, as it is the envelope that allows this next evolutionary development to occur. Failure to address these pressing issues will lead to techno elitism a dangerous precedent that threatens to divide humanity between the upgraded and the unaltered, a development which could cause the collapse of society and may destroy the embryological state of the current trans-human project. 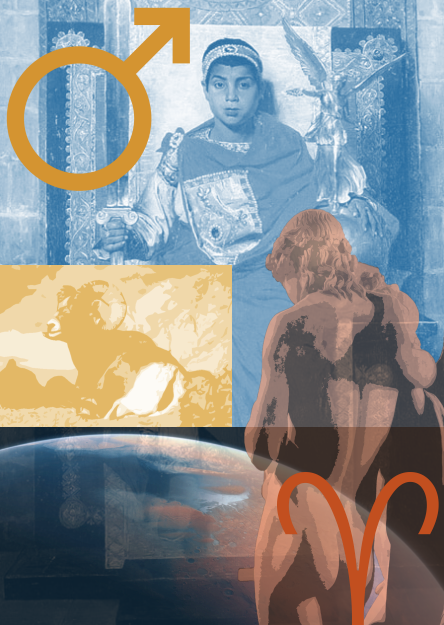 Aquarius is concerned with social leveling similar to its Scorpio contemporaries but it utilizes the genius of innovation to ensure it. In this sense there is a clarion call to explicate two concepts that will ensure that technological transcendence is truly beneficial to the enrichment of the world, and not simply the playthings of a privileged elite with tunnel vision able to exploit a narrow loophole in the data stream. The good news is that the technologies for social leveling already exist it is matter of applying them. They are such things as universal free education, a guaranteed living income, universal healthcare access, clean water, urban sanitation and climate mitigation, These issues are hard nuts to crack no less but Aquarius excels at providing collective needs. A final piece to consider is the trans-human ethic as elucidated by philosopher Nick Bostrom of wide access which means in essence the means of transcendence must be made universally available regardless of financial limitations, or any other limiting criteria. Contained within this call for fairness is a dare for technicians, scientists, and citizens of Earth alike, can we design a technology and society which eliminates unnecessary work, environmental hazards, poisons in the food supply, ensures a high standard of living for everyone, a clean and efficient energy base, designs against loneliness, isolation, and despair. These are all technical questions with technical answers even as the techniques are ones of community organizing and social acumen, and they are all decidedly Aquarian in nature, you are the ones who will ask them and answer them, and therefore play an instrumental role in shaping the next Aeon without blind spots. 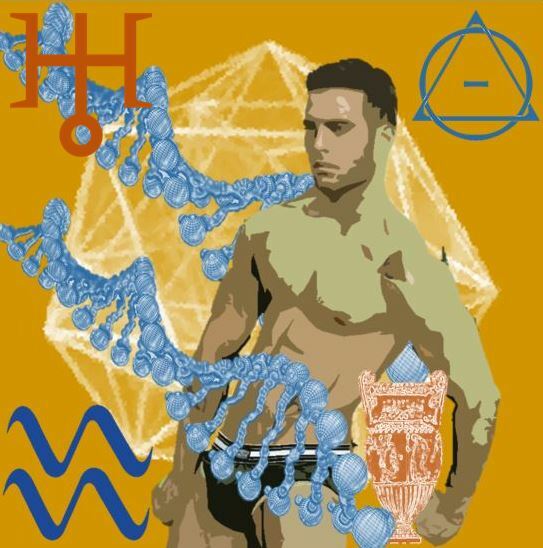 Continuing the Aquarian project is Pisces who reminds of us of the enduring mysteries of the Universe that will continue to fuel our quest even in a more post-human world of hyper-intelligent Artificial Intelligence’s. Even when all the material, social and intellectual needs of humanity and the rising organisms of AI’s have been met there will still be the needs of consciousness to be met the intangible spiritual quests that the avenues of Consciousness seem to stalk. Human subjectivity will still remain even in a world where intelligence has decoupled with consciousness, and AI’s have surpassed us. It is possible that at some point in divergent evolution that AI’s may even become conscious in a kind of “ghost in the machine” singularity, and then there may be whole new realms of subjectivity to explore. Another possibility is that as more humans upgrade themselves and merge with machines a kind of convergent evolution could occur in which AI’s reach sentience through their marriage to human organic minds and a super-consciousness will emerge that integrates both streams. It is all very speculative and seemingly outlandish at this early juncture and there is no way of knowing if this emerges in 2-3 decades or requires a century or two. Pisces is acutely aware though that we have entered “the Aeon of speculation” and that traces are far more accurate than statistical analysis at deciphering the outlines of the future. We are in the twilight of the Piscean Aeon and it is leaving us with the enduring mystique as priests are replaced by scientists, and vital needs are increasingly provided by globally networked algorithms replacing churches and other institutions of humanitarian aid. An enduring mystery will continue to insinuate itself. Pisces has its finger on the pulse of the collective human future and recognizes that science fiction is a better device for understanding the Aquarian “strange light of the future” than any quarterly report, political manifesto, or UN State of the World dossier. 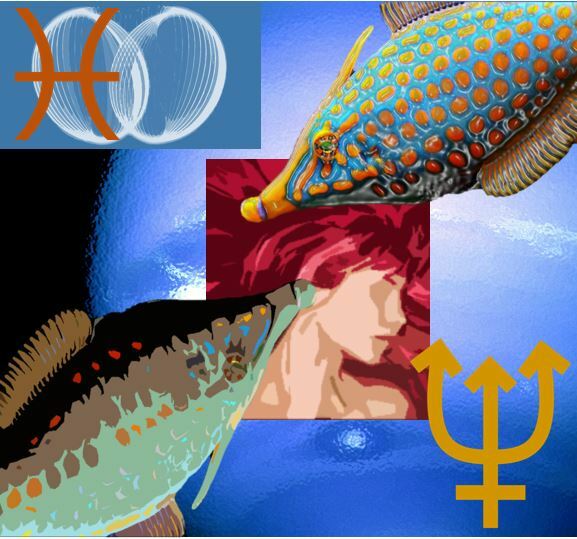 Pisces knows that as algorithms evolve into global networks they can decipher information faster than it is produced and it is likely that they will extend human power and reach to galactic scales, and there is opportunity and danger in this prospect. Pisces, you are awash in this ocean of possible speculations and are able to navigate it where many others are not, largely because your imagination is attuned to the non-linear nature of dreamscapes and the global perspective of spatial relationships, that mimics that nature of information flow, It’s a good skill to cultivate now and into the future it will be increasingly valuable. That brings us to the end of this transmission for April. I will see all you Psychonauts on the next monthly interval! Be sure to check out the clickable buttons for more Prometheus Jones!